Habitat: Grows in woods and on the beach to a height of 800 m above sea level. 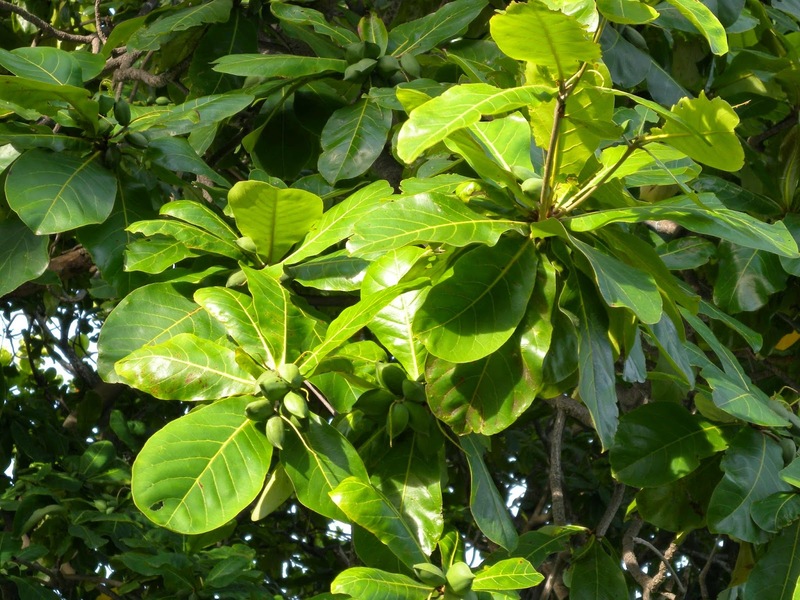 Description of the plant: Plant-trunked large, up to 20 m height over, leaves hands wide, egg-shaped, and two times a year, the leaves collapse. The flowers are fragrant but not colored. Plant part used: Seed; Bark; leaf. Chemical Ingredients: Oil of fat; tannins; saponin. Ketapang seeds (powder) 3 seed; 2 tablespoons arrowroot flour; Palm sugar to taste; Enough water, mashed, Eaten like eating porridge; in addition to smooth milk; can also for a mild laxative.